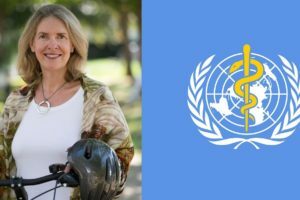 MONTEREY, USA – Is something shifting in the United States regarding electric bicycles? If last week’s Sea Otter Classic show is an indicator the answer on that question is yes. 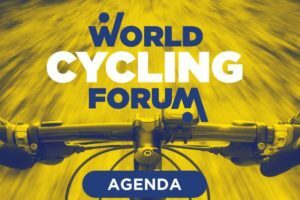 However, that’s when taking the number of e-bike exhibitors into account. An estimated 60,000 visitors and racers were at Sea Otter Classic in Monterey California from April 14 – 17, 2016. 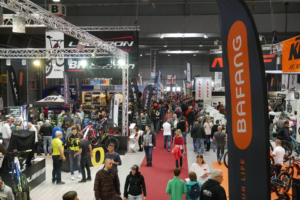 They saw a remarkably high number of electric bike and e-MTB exhibitors. 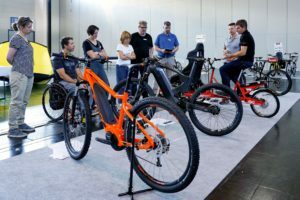 All the major brands from Europe in the two e-categories (regular bikes and e-MTBs) were present; from the Pon brands Gazelle, Kalkhoff, Focus to Accell’s Haibike as well as Bulls, KTM and M1 Sporttechnik. 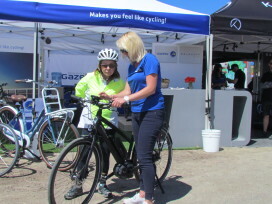 Also the US e-bike operators were there with Specialized, iZip, Felt and Evo (from Canada). BESV (Darfon) represented Taiwan. 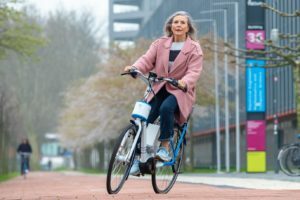 An indication on how electric bike sales are progressing in the US was presented by Haibike’s CEO Susanne Puello. She said that Haibike already sold more e-MTBs in the US this year than in the whole of 2015. And that 2016 promises to be a breakout year in Canada for e-MTBs. At a press presentation in Sea Otter Haibike USA director of sales Ken Miner dampened the high expectations for e-bike sales growth in the US somewhat. He said that mountainbike trail accessibility for ‘motorized’ e-MTBs is still a big issue in the US. It’s the limiting factor on e-MTB sales as dealers proof to be reluctant to take-up these kind of bikes in their shops due to this. 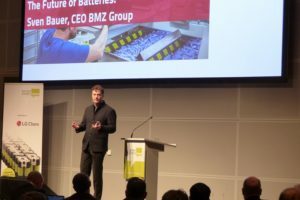 Haibike also mentioned that they and the leading US brands have joined their lobbying forces to resolve trails accessibility for electric mountainbikes.